Joan Anderson, 86, of North Henderson, IL, passed away at 11:59 pm, Sunday, August 19, 2018 at her home. She was born November 7, 1931 in Alexis, IL, the daughter of Stuart Robert and Miriam “Ethyl” Elizabeth (McKelvie) Likely. Joan was raised and educated in Alexis and graduated from Alexis High School in 1949. She then graduated from the Cottage School of Nursing as an RN in 1952. Joan married Donald L. Anderson on January 1, 1952 at the Zion Lutheran Church, North Henderson, IL and he died on July 3, 2012. Joan worked as an RN for many years before becoming a homemaker and raising her family. She also worked as a bookkeeper for Anderson Oil Co. from 1976-1981. Joan also ran Anderson Wood Service from 1986-1998. 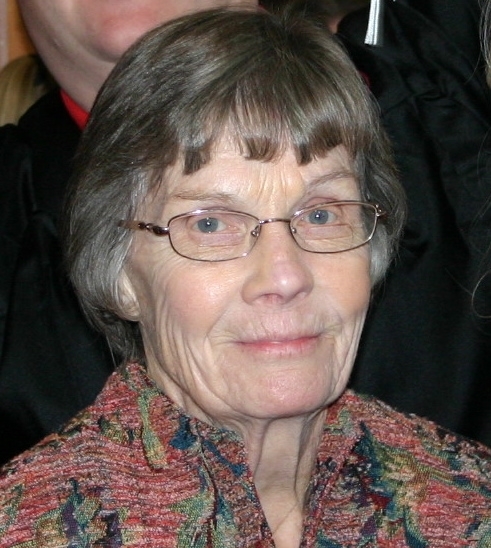 She was a member of the Zion Lutheran Church, North Henderson and the LCW. Joan enjoyed sewing, quilting, gardening, antiquing, fishing, traveling, floral club, quilt club, upholstering, and investing in the “Watch it Grow Stock Club”. Most of all, she loved spending time with her family, especially her grandchildren and great grandchildren. Surviving family includes her daughter, Paula (Cecil) Gittings of Tuttle, OK; three sons, Les (Bev Magee) Anderson of Mt. Carmel, IL, Del (Dori) Anderson of Galesburg, IL, and Dan (Shannon) Anderson of Oklahoma City, OK; ten grandchildren, Bob Gittings, Becky (Dustin) Sandlin, Meagen (Rob Liekis) Anderson, Lee Anderson, Logan Anderson, Jenna Stokes, Terri Warrington, Jason Dossett, Justin Dossett, Kyle Magee; seventeen great grandchildren, Dylon, Arieus and Destiny Sandlin, Kaleb Bennett, Lilliana Warrington, Alissa Stokes, Alivia Stokes, Alex Stokes, Owen Dossett, Evan Dossett, Escher Liekis, future Liekis girl arriving in December, Brenna Dossett Wall, Morrigan Dossett Wall, Wade Magee, Clay Magee and Rowan Magee. She was preceded in death by her parents, husband, twin infant sons, one grandson, Shawn Warrington, two brothers, and one sister. Memorial Services will be at 11:00 a.m., Friday, August 24, 2018 at the Zion Lutheran Church, North Henderson. Cremation has been accorded. Her family will be present at the church to receive friends one hour prior to the services. Memorials may be given to the North Henderson Floral Hall. McGuire & Davies Funeral Home and Crematory, Monmouth is in charge of the arrangements.